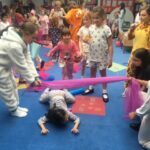 Year 5 helped kick off half term in style for year 1 & 2 pupils this afternoon with a fantastic Pyjama Party in the Junior School Library. 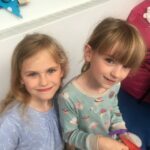 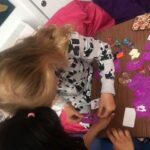 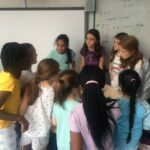 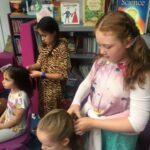 This event was the result of an enterprise project on which the girls worked with Mrs Mac to raise money for some technical lego sets they are keen to acquire. 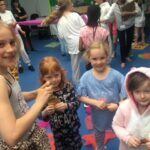 With hair braiding, limbo dancing and some tasty refreshments, it is fair to say the girls had a blast!